Lorde is an incredibly talented and incredibly famous international star — who needs to stop mumbling so much in her songs already. Listen, I love rocking out to a good Lorde song every time there's a new song to be rocked out to, but I've kind of given up on understanding what she's saying unless I have the lyrics in front of me. Granted, I have this same problem with Beyoncé's song lyrics, but that's because Queen Bey sometimes forgets to enunciate. In Lorde's case, it's more that she sings in such a low and occasionally mournful way that her words blend together into something unrecognizable. Or, hey, maybe she just needs to enunciate, too. Time: 1:10 (and throughout the song). Misheard Lyrics: "You can call me green bean." Actual Lyrics: "You can call me Queen Bee." Notes: Personally, I thought she was making a joke about her height. Or her dietary habits. I mean, obviously only royals eat green beans. Misheard Lyrics: "The fly has found a home in me." Actual Lyrics: "The fire's found a home in me." Notes: I don't remember any parts of The Hunger Games that involved Katniss Everdeen inhaling a fly, but then again I don't remember any parts of The Hunger Games that involved a yellow flicker beat either. I was willing to roll with Lorde on this one. Misheard Lyrics: "I'll sleep in his words." Actual Lyrics: "(We've both got a million bad habits to kick) not sleeping is one." Notes: I just assumed Lorde was making a poignant analogy about how she's so comfy with her guy that she can wrap herself up in his warm words like a security blanket. Which is kind of a bad habit if you squint. Time: 1:20 (and throughout the song). Misheard Lyrics: "We're only seventeen." Actual Lyrics: "We're on each other's team." Notes: In defense of everyone who thought this, Lorde was, in fact, 17 years old when this song came out. She could very well have been reminding us of that, since it can often be forgotten considering how mature and talented she actually is. 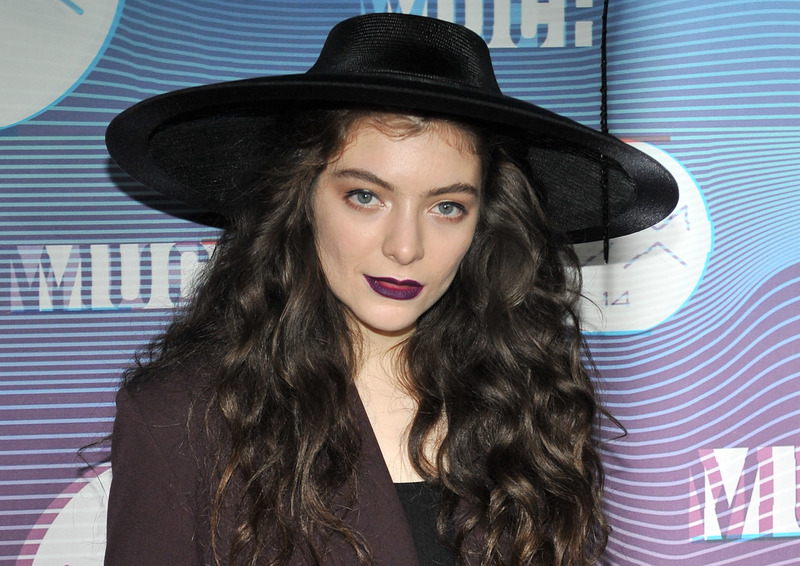 So, really, this misheard lyric is a compliment to Lorde. Time: 0:55 (and throughout the song). Misheard Lyrics: "Heads that we throw again." Actual Lyrics: "Head out the window again." Notes: I'm glad to hear that Lorde isn't just punting heads out the car window to the alarm and concern of her neighbors. But, then, she's Lorde. She can do whatever she wants. Time: 0:48 (and throughout the song). Misheard Lyrics: "It's a new iPhone showing people how little we care." Actual Lyrics: "It's a new art form showing people how little we care." Notes: Nothing says "I don't care" quite like an iPhone, am I right? Nevermind how expensive they are. Caring is for 'Droid users. Misheard Lyrics: "Only black people live to see their likeness set in stone." Actual Lyrics: "Only bad people live to see their likeness set in stone." Notes: Well. Well. Maybe she was talking about the Egyptians and all their pyramids and sarcophagi and... I don't know? I just wasn't going to ask, you guys.